This is not a reaction but a response to Mr. Barney Mthombothi’s article which appeared in the Opinion section of the Sunday Times newspaper of 11 May 2014. What he says about the PAC has been said so many times by analysts and journalists in this country especially in post 1994 era. They, like him have predicted and wished the demise or extinction of the PAC from the political scene in this country; some even went as far as using the word annihilation. The PAC has been buried so many times but, like a cat with nine lives, continues to exist because all these analysis are based on wishful thinking by those who have embraced the neoliberal paradigm and benefit on the continued poverty of the African majority who have yet to enjoy the fruits of their sweat and blood, 20 years down the line. We, the loyal disciples of the Great Mangaliso Robert Sobukwe understand and appreciate the views expressed by Mr. Mthombothi who is part of the elites that ‘eat good and dress good’ (Malcolm X or Malik Shabaaz) whilst the masses of the poorest of poor, the have-nots and the dispossessed continue to live in abject poverty and squalor. The PAC will continue to exist for as long the African people are there in this country and on the continent. We will not abandon our worldview simply because a journalist says “it seems it (PAC) can’t survive in an open democracy”. The PAC survived during the most ferocious repression when most of its underground Poqo operatives were hanged at the Pretoria Central Prison early to mid-1960s and the graves of most of these freedom fighters have yet to be identified. Our worldview is anchored in the African people; it is in their innermost feeling. This is Africanism and Pan Africanism. 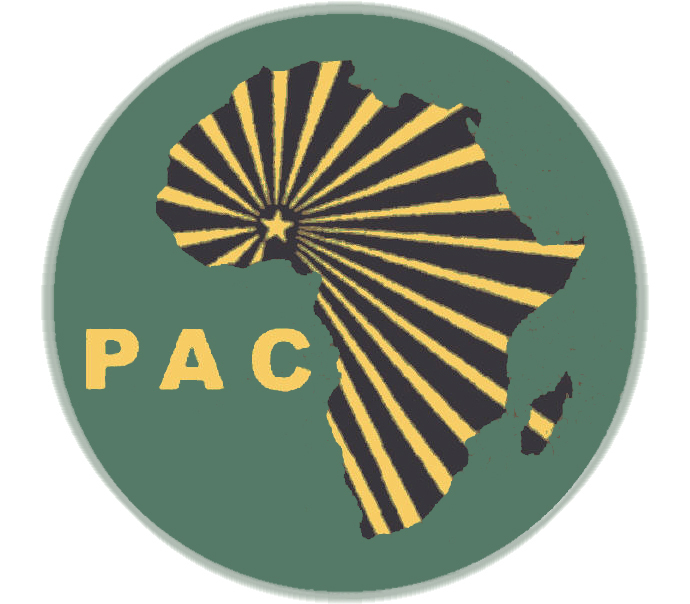 The former upholds the material, spiritual and intellectual needs and interests of the African people and at continental level PAC stands for the total liberation and unification of Africa from Cape to Cairo, Madagascar to Morocco. For the PAC, African unity is not integration, it is the creation of the United States of Africa and this will become a reality the day African leaders relinquish or surrender sovereignty to the Union of African states and thus end fragmentation of Africa. In this connection, Sobukwe says: “South Africa is an integral part of the African continent…” and he further goes on to say “the struggle in South Africa is part of the greater struggle throughout the continent for the restoration to the African people of the effective control of their land”. On the basis of this worldview we will continue to stand for the truth and the truth is that we do not own this land and its resources below and above ground and yet we are said to be ‘free’. We are not talking about piecemeal solutions to the land issue. We are not apologetic. We are not here to appease. That is why we are destabilized. Mr. Mthombothi you are aware that “private individuals and foreigners own close to 80 percent of South African land,” according to the latest land audit (Pretoria News, Friday September 6, 2013, front page). We are happy that there are new political forces that have picked up what we have been saying since the inception of the PAC in April 1959. This has rekindled hope and confidence in the ranks of the PAC not to give up or abandon ship. All what we need to do is to unite and disappoint our detractors and thus restore the dignity of our founding leader – the Great Mangaliso Robert Sobukwe and other stalwarts and struggle heroes of this Party of the African people who served, suffered and sacrificed for the liberation of this our ancestral heritage – Azania. Mr. Mthombothi, ‘African Renaissance’ is not Pan Africanism and because of this, it cannot make the PAC superfluous. Yes it did destabilize some of our members who were not strong enough ideologically but that was just ephemeral. Pan Africanism from its founding and from of its earlier founders such as Edward Blyden to the Manchester Congress in 1945, with W.E.B. du Bois, George Padmore ,T. Ras Makonnen, Jomo Kenyatta, Hastings Banda, Peter Abrahams and Dr. Kwame Nkrumah has always been socialist and poor people oriented. This is what the PAC represents to date and will continue to until others realize the correctness of our position because we believe in the dialectical process. Nothing is static or immutable. That is why, the PAC will sooner or later make a come back with determination and vigour to claim its political and ideological space or terrain in this country. The writer is a Member of the PAC of Azania (PAC) and the Azanian People’s Liberation Army (APLA) Military Veterans Association. He can be contacted on 072 630 2206.